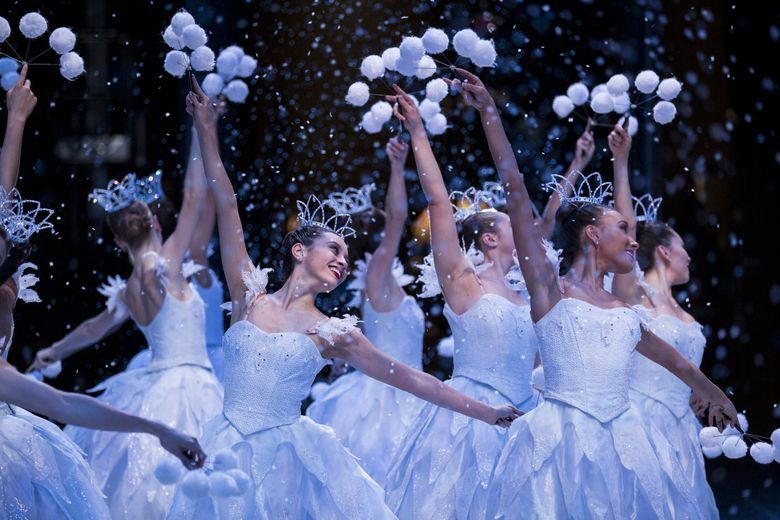 Whether you're thinking of going to Pacific Northwest Ballet's "The Nutcracker" for the first time, or you've been already, you're sure to pick up some great tips here, ranging from not-to-miss highlights of the performances to mouse-shaped cookies. 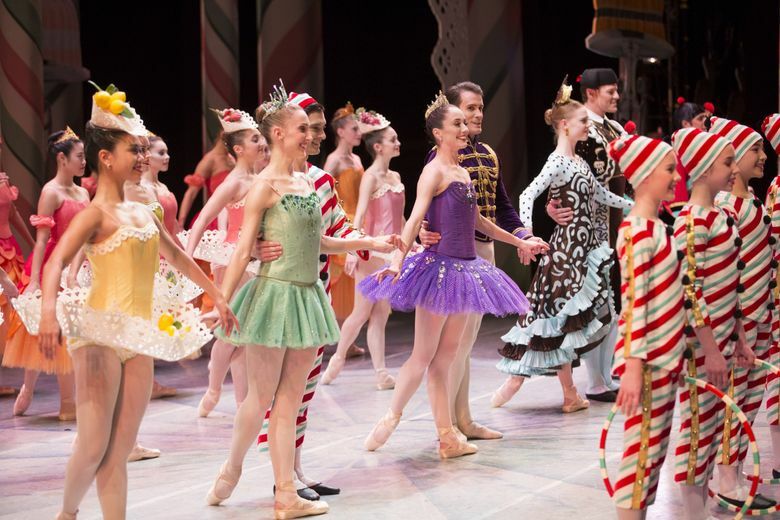 Thinking about checking out Pacific Northwest Ballet’s “The Nutcracker” for the first time? Behold, a tinsel-bedecked user’s guide! Sweet dreams. 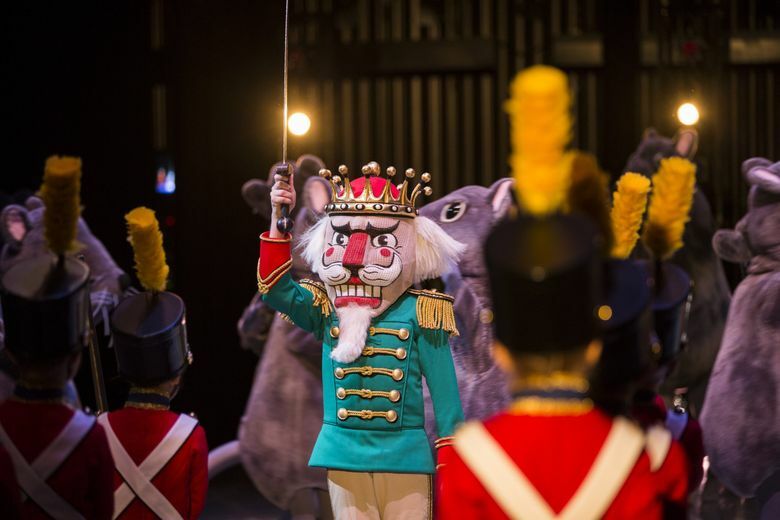 “Nutcracker” runs Nov. 23 through Dec. 28 at Marion Oliver McCaw Hall. Ticket prices vary widely, ranging from $37-$209 for adults and $33-$189 for children 12 and under. If you’re looking to spend as little as possible, check out the “Value Performances” on PNB’s website, all of which feature seats available for under $40. Also, PNB is currently running a Black Friday promotion through Dec. 5, offering 20 to 40 percent off tickets to certain performances; see pnb.org for details. When choosing seats, consider my favorites: the Gallery sections on either side of the orchestra seats, which have wonderfully unobstructed views of the stage due to a far steeper slope. (If you’re short, these seats are a godsend; just ask my 5-foot-tall mother.) The lower the seat’s number in the Gallery section, the closer the seat is to the center of the theater; a 1 or 2 numbered seat midway up the section is perfection. When choosing what date to go, note that some performances feature extra entertainment — without an extra cost. Throughout opening weekend (Nov. 23-25), there will be special activities in the lobby: crafts, magicians, dance classes and more. For the matinee performances on Dec. 2, 8 and 9, Classical KING FM and Music Center Northwest will host an Instrument Petting Zoo, at which audience members of all ages can get to know the instruments that make that irresistible Tchaikovsky score. Also, the following shows will feature local choirs performing holiday music in the lobby: 12:30 p.m. Sunday, Nov. 25; 2 p.m. Saturday, Dec. 1; 12:30 p.m. Sunday, Dec. 2; 7:30 p.m. Friday, Dec. 7; 7:30 p.m. Saturday, Dec. 8; 12:30 p.m. Sunday, Dec. 9; 7:30 p.m. Friday, Dec. 14; 2 p.m. Saturday, Dec. 15; 7:30 p.m. Wednesday, Dec. 19; 7:30 p.m. Thursday, Dec. 20; 7:30 p.m. Friday, Dec. 21; and 7:30 p.m. Saturday, Dec. 22. Tickets can be bought in person at PNB’s box office (301 Mercer St.), by phone at 206-441-2424 or online at pnb.org; be wary of tickets offered by third-party sellers. And buy as soon as you can; due to dynamic pricing, ticket prices get higher as the show’s date gets closer. If you’re bringing young kids, prep them beforehand by playing the “Nutcracker” score at home. PNB’s website offers a selection of hints for helping small children enjoy the performance. “The Nutcracker” is a short ballet, about two hours and 10 minutes long, including a 25-minute intermission. Note, though, that the lobby will be open two hours before the performance, as will the McCaw Hall restaurant, Prelude, which serves both brunch and dinner. Drinks and snacks — including mouse-shaped cookies that I am already coveting — are available at all concession stands. If you want to enjoy these during intermission, you’d be wise to pre-order before the show, to avoid long intermission lines. For a special treat, you can reserve the Nutcracker Suites for intermission, which is a festively decorated private banquet room where a Nutcracker-themed buffet is served. It’s $35 each (adult or child), and includes a full menu of entrees, desserts, and beer/sparkling wine for the grown-ups. Note that space in the Suite is limited and it sometimes sells out. You don’t have to pay extra to enjoy the various photo opportunities in the lobby (particularly popular: a chance to pose under Mother Ginger’s enormous skirt); just be sure to put that smartphone away before the performance starts. And, if you’re attending with kids, stop on the ground level of the lobby — just behind the main entrance — and pick up free booster cushions. A favorite saying of Balanchine’s was “The Nutcracker is the tree.” The undisputed star of Act I, this one is decorated with 450 lights and grows to a height of 40 feet. That glorious star that shines over the snow at the end of Act I is a Dale Chihuly sculpture, “Winter Star,” originally created as part of the artist’s Chihuly in the Light of Jerusalem 2000. 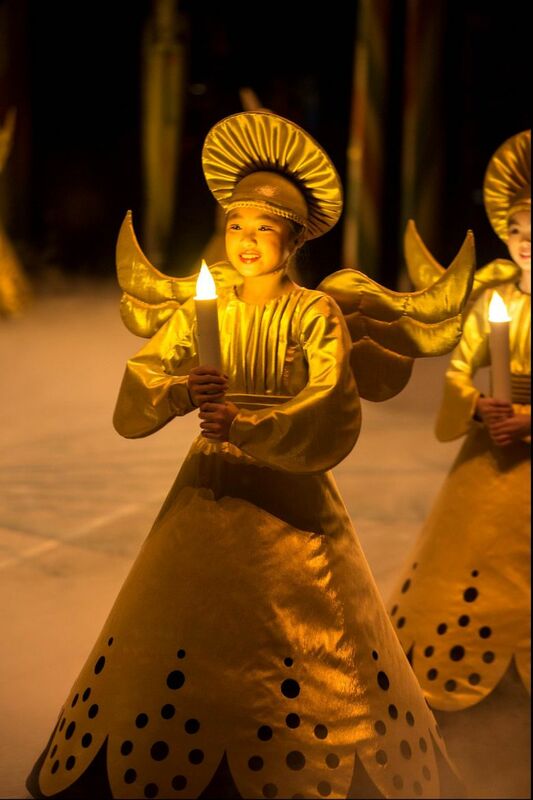 The angels who usher in Act II — all PNB School students — were inspired by the footless paper angels on Balanchine’s own Christmas tree; note how they seem to hover across the floor, without touching it. Watch closely at the end of the Sugar Plum Fairy/Cavalier pas de deux for an ethereal gliding effect that, executed properly, is utterly magical. Evergreen City Ballet will perform “The Nutcracker” at the Meydenbauer Center Theatre in Bellevue Nov. 30-Dec. 2, at Auburn Performing Arts Center Dec. 7-9 and the Renton IKEA Performing Arts Center Dec. 14-16; evergreencityballet.org, 425-228-6800.
International Ballet Theater’s “The Nutcracker” takes place Dec. 14-23 at Meydenbauer Center Theatre in Bellevue; ibtbellevue.org, 800-838-3006. Olympic Ballet Theatre presents “The Nutcracker” Dec. 13-16 at Edmonds Center for the Arts and Dec. 21-23 at Everett Performing Arts Center; olympicballet.org, 425-774-7570. And, for grown-ups only: “Land of the Sweets: The Burlesque Nutcracker” plays at the Triple Door in downtown Seattle Dec. 7-30; thetripledoor.net, 838.43331-800-838-3006.